This short course starts by investigating the legal framework encompassing the application of a range of therapies and the legal and ethical responsibilities incumbent on the practitioner. 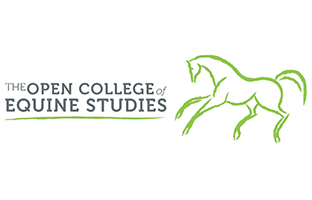 It is designed to develop your understanding of the range of therapeutic modalities used within the equine sector, enabling you to develop skills of independent enquiry and an awareness of the developments in terms of equine therapies, thereby broadening your perspective on the treatment of disease and injury. The short course will help you develop an understanding of the value, nature and application of manual therapies. You will investigate the use of a range of therapeutic machines, evaluating the benefits and mode of use. On completion of this short course you will have encountered concepts that encompass all aspects of equine therapy from simple massage techniques to the use of sophisticated machines and equipment. – National and European legal framework surrounding therapies and ethical and legal responsibilities incumbent on practitioners including: veterinary surgeons, veterinary nurses, pharmacists, farriers, equine dental technicians, equine physiotherapists, osteopathic or chiropractic practitioners, animal behaviourists, complementary medicine practitioners, animal owners and lay persons. Identification of the governing bodies and organisations important in the regulation and certification of equine health care professionals. – Therapeutic modalities: farriery, dentistry, soft tissues mobilisation, joint mobilisation, stretching, manipulation, massage, myofascial release, trigger point release, Equine Bowen Therapy, shiatsu, McTimoney chiropractic, osteopathy, cold therapy, spas, heat therapy, solariums, ultrasound, laser, interferential therapy, H wave, neuromuscular electrical stimulation, transcutaneous electrical nerve stimulators, magnetotherapy, massage machines, exercise programmes, treadmills, water treadmills, hydrotherapy. – Therapeutic medicines: different classes of medicines commonly used in equine veterinary therapy; anti-inflammatory, analgesics, bronchodilators, antibiotics, diuretics and sedatives. Appropriate and timely use of veterinary medicines commonly used in equine veterinary therapy. Interaction of drug therapy and prohibited substances regulations. EU drug residues in food legislation and their impact on equine veterinary drug therapies. – Complementary and alternative therapy: legislation, aromatherapy, Bach Flower Remedies, herbalism, homeopathy, magnetic therapy, Tellington Touch Awareness, acupuncture, acupressure and nutritional therapy.